I have tried to make this process easy for both you and me. It is really very simple. But please contact me if you have any questions about it, or anything else. Design consultation is the first step. We talk about what you want in a guitar. This includes talking about your playing style, ergonomic concerns and aesthetic choices. You can specify the woods, inlays, colors, nut width, fret wire, neck shape, hardware, string spacing, scale length, the pickup, case colors, anything else you want. I work up a cost and present it to you. (Price quotes on custom orders are good for 30 days). Changes can be made to upgrade or to bring costs down. Once we have an agreement I will ask for a down payment of 10% to hold your place in my schedule. Shortly before I begin the construction of your guitar I will contact you and we will confirm the agreement and design, at that time I will ask for an additional 40% to proceed. During the building process I will be contacting you to approve details. And I will send you photos of the work in progress. When the guitar is completed I will contact you and ask for the final payment plus any shipping charges and taxes that apply. When the payment is confirmed I will ship the guitar to you, fully insured. I offer a limited lifetime guarantee to the original purchaser. 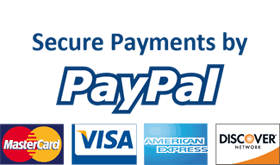 I do accept credit cards and Paypal but there is a small electronic payment fee of 3%.